A major part of India battles heat wave conditions every year. 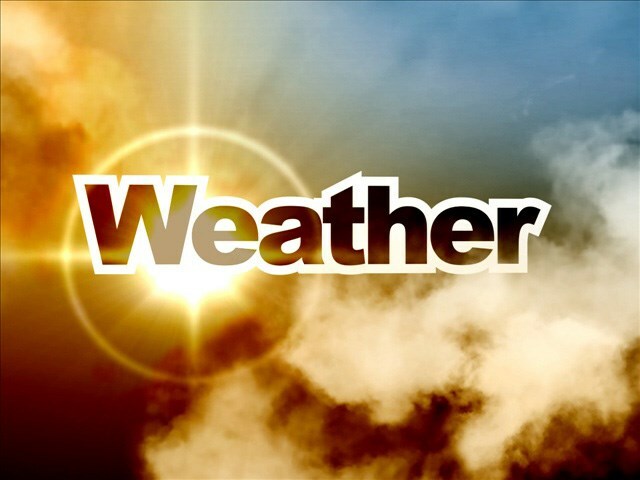 During the heat wave period between April and June, many States witness temperatures rising up to 40 degrees Celsius and above and staying put the entire season. This period of extremely hot weather over several days to weeks combined with high humidity levels makes for a deadly combination and may even result in deaths. Reports about rescheduled summer holidays in schools and melting tar on the roads make headlines annually. So do the deaths induced by it every year. The numbers, however, vary from report to report for lack of accurate data. "Most of the time, only very obvious cases of death due to direct heat stroke, in which the affected person dies within a few hours, are reported as a heat wave related death. Such cases are often reported among those who are exposed to sunlight for long hours. The more common form is indirect heat stroke, which majorly affects the elderly or those suffering from chronic diseases. Death may occur within 24-48 hours after the stroke and are not counted as heat wave related deaths due to ignorance," according to Dr. Dileep Mavalankar, Director, Indian Institute of Public Health, Gandhinagar. In 2015, the number of heat-wave related deaths across the country crossed 2,000. Moreover, the number was higher than deaths caused by any other disaster. Noticing this severity of killer heat waves, the National Disaster Management Authority formulated and circulated to the States the ‘Guidelines for Preparation of Action Plan – Prevention and Management of Heat-Wave’ in 2016. The Guidelines provide a framework for implementation, coordination and evaluation of activities undertaken by local authorities to reduce the adverse effects of extreme heat-wave. Effective implementation of the Guidelines by some of worst affected States significantly brought down the number of heat wave-related deaths in 2016 and 2017. "We closely reviewed and monitored the preparedness and actions taken by heat wave prone States and with the combined efforts of all stakeholders, especially the State Governments, were able to bring down the number of deaths drastically,” says Shri R.K. Jain, Member, NDMA, adding that the approach should be to have zero tolerance to heat wave deaths this year. To tackle the imminent heat wave, NDMA organised a national workshop on heat wave risk reduction through sharing of best practices on 21-22 February, 2018. The workshop was held at Vijayawada in collaboration with the Government of Andhra Pradesh. Over the two days, stakeholders discussed the road map for further reducing the adverse effects of heat wave in 2018 with advance planning and preparedness. The workshop highlighted the importance of preparing and implementing Heat Action Plans, mass awareness campaigns, community capacity building and reviving indigenous traditions and knowledge. It also discussed the need to collect accurate information and data to plan and take most suited mitigation measures. Lt. Gen. N. C. Marwah (Retd.) and Shri Kamal Kishore, Members, NDMA, also attended the workshop. NDMA had organised a similar workshop in 2017 at Hyderabad, in collaboration with the Government of Telangana. The workshop equipped States to update their Heat Action Plans through sharing of best practices by some vulnerable States which have largely been able to successfully fight the heat wave. One of the most effective ways to mitigate the impact of heat waves is to help vulnerable populations help themselves by building their community capacity through awareness campaigns in local languages. This enables the vulnerable populations to recognise and respond to heat wave situations. Community-run pyaau and sarai (water kiosks and shelters by the roadside) to help anyone and everyone passing through the area to cool off during the summer months are excellent examples of community participation towards Disaster Risk Reduction (DRR). Authorities will help, but the best way out is to help yourself, your family and your friends. 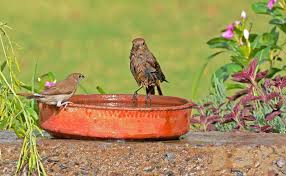 How about starting with placing a bowl filled with clean drinking water for birds who do a pit stop on your balcony or terrace during the hot and humid summers?